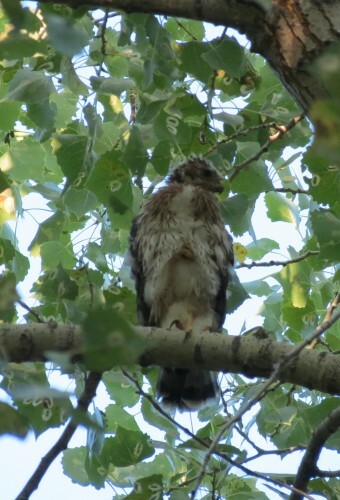 Along the River, Cooper’s Hawks are Growing Up /Hawks Aloft Inc.
Taken the week of Jun 18, look what we found! 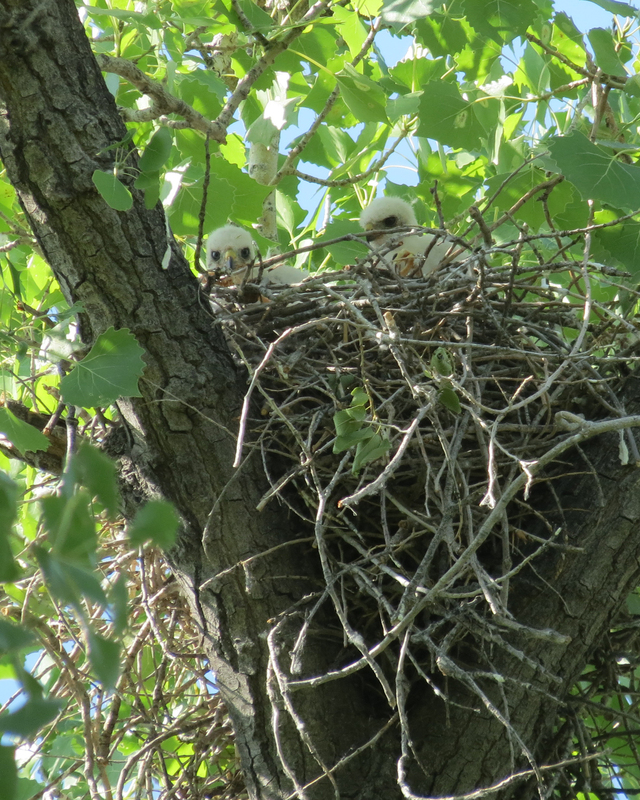 Two bouncing baby Cooper’s Hawk nestlings suddenly appeared in a nest that we were sure had failed. Two previous visits had no evidence of activity, no white wash under the nest, no fluff stuck to the nest rim, no parents, no nothing. It happens every year! Certain pairs of Coops are extremely sneaky and it is only when the clueless youngsters are big enough to stand on the nest rim that we can see anything. This morning, June 29, at another nest, look who was out of the nest! 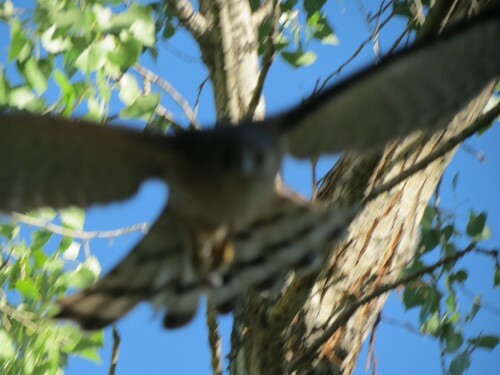 A Cooper’s Hawk chick that had just branched. He/she even managed to stand on one foot with the other tucked up into the breast. Note the bulge under the chin. That’s breakfast, a well-fed and happy chick. 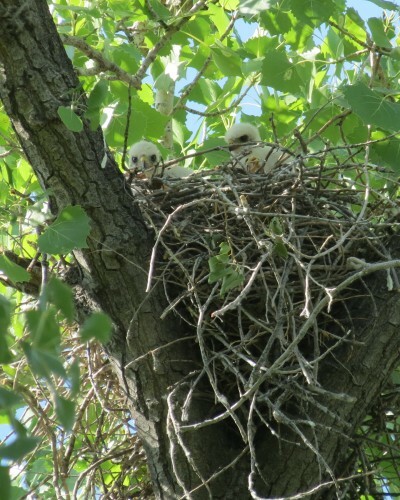 Branching is when the chicks are old enough to climb out of the nest onto nearby branches, but aren’t yet able to fly. It usually occurs when between 30-40 days of age in Coops. Mama Coop wasn’t so thrilled with my presence however and tried to run the intruder off. Sorry for the blurry photo!